Atheneum Books for Young Readers, 9781442430525, 240pp. Whatever Pitch’s plans, what he doesn’t know is that there’s a new Guardian in town, and she’s not the type to forget old grudges. 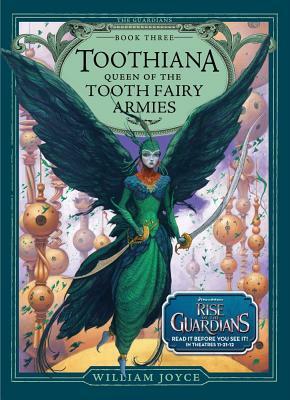 Actually, she’s not the type to forget anything--because this Guardian is none other than Toothiana, the Tooth Fairy herself. She’s fierce and fast and crossing her will lead to a multitude of troubles. And, it turns out that, well, all those teeth she has been collecting? They contain memories. The forgotten memories of childhood… including the memories of how to fly. Young Katherine is hopeful that these memories might help her to remember her parents. The Guardians hope they’ll offer even further protection from Pitch. "The whimsical details and elaborate, old-fashioned illustrations continue to charm."